The ASNE Youth Journalism Initiative and its website SchoolJournalism.org will not sell or rent your identifying information to anyone. The ASNE Youth Journalism Initiative and its website SchoolJournalism.org may send identifying information about you to other organizations or people when: we have your consent to share the information; we need to share your information to provide the product or service you have requested; we need to send the information to companies who work on behalf of the ASNE Youth Journalism Initiative to provide a product or service to you; or we respond to subpoenas, court orders or legal process. 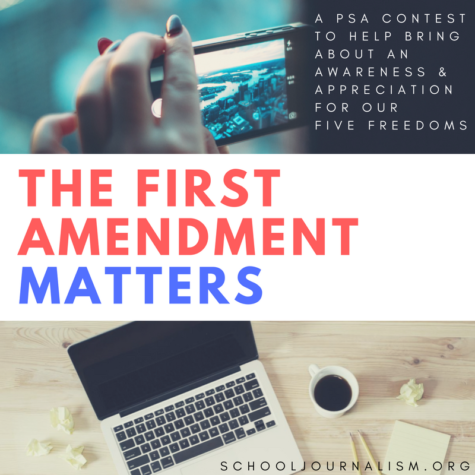 The ASNE Youth Journalism Initiative and its website SchoolJournalism.org fully complies with the notice and take-down provisions of Section 512 of the United States Copyright Act. The ASNE Youth Journalism Initiative may amend this policy from time to time.